Do you ever wonder if it’s worth it to offer Free Shipping in your listings? We were very curious to find out, so we asked Ngan to dig up some more stats from our database. 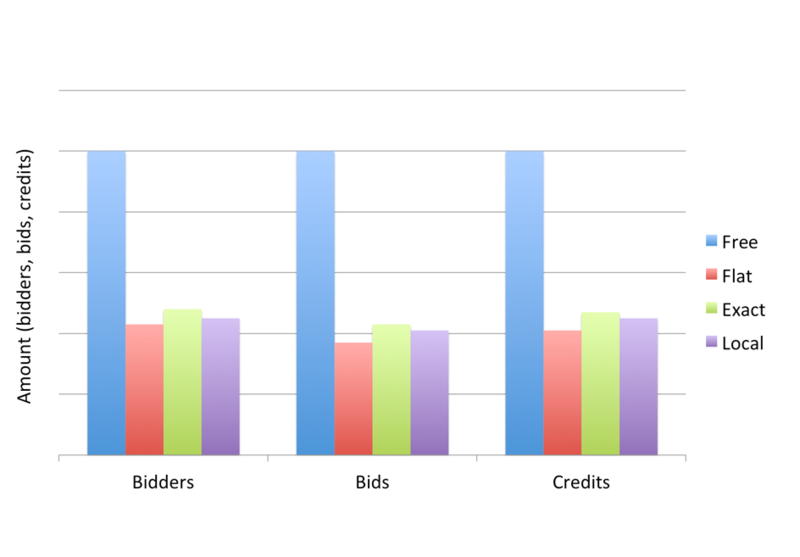 Based on our top performing categories, we noticed very strong correlations between Free Shipping and more bidders, bids and final credit amounts. Across the board, items with Free Shipping ended with twice as much activity than their counterparts offering Flat, Exact or Local Pick Up only. So as a seller, is Free Shipping worth it? We sure think so, but we’ll let you confirm for yourselves. « What’s Your All-Star Story? Free shipping is really a nice incentive to drag potential buyers over the line to purchase the item. Thanks for the handy tip!